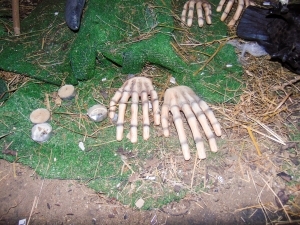 These Skeleton wife hands are a great model to use to give an instant spooky feel. 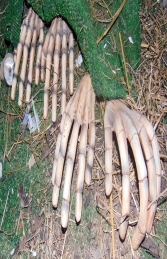 These fingers can be put out to look like they are creeping out. 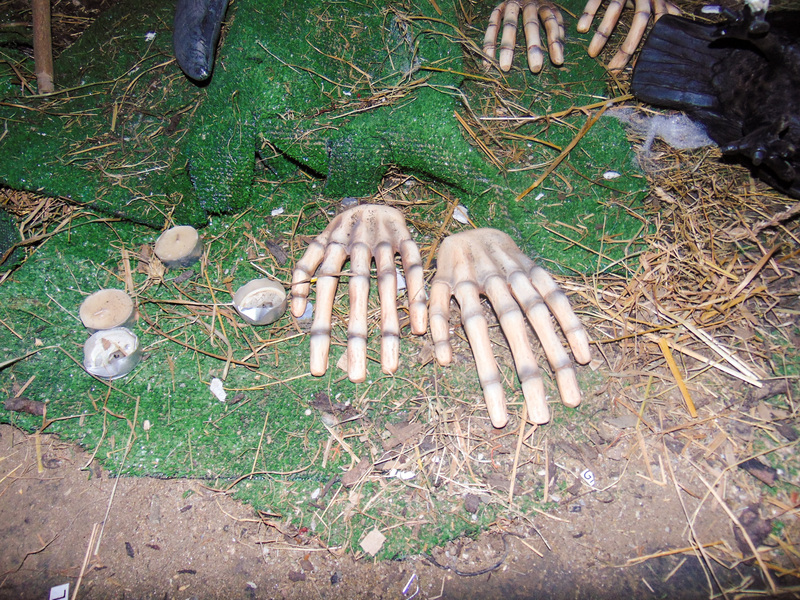 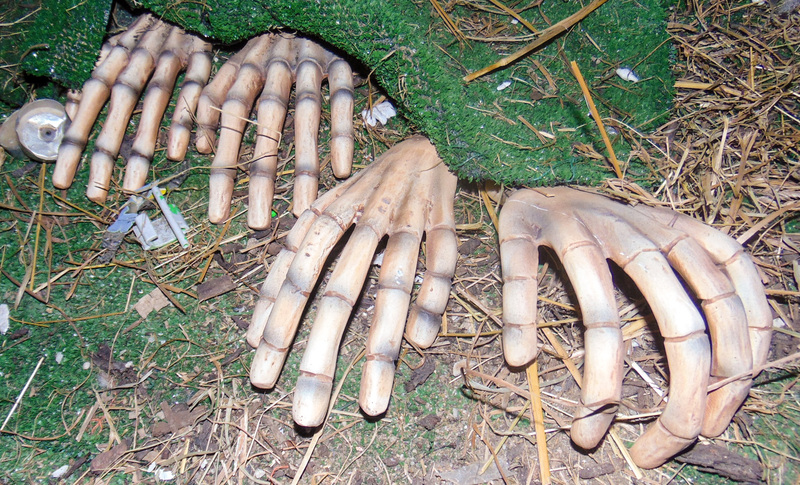 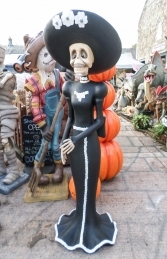 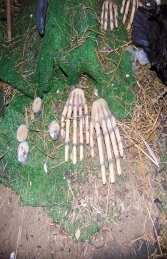 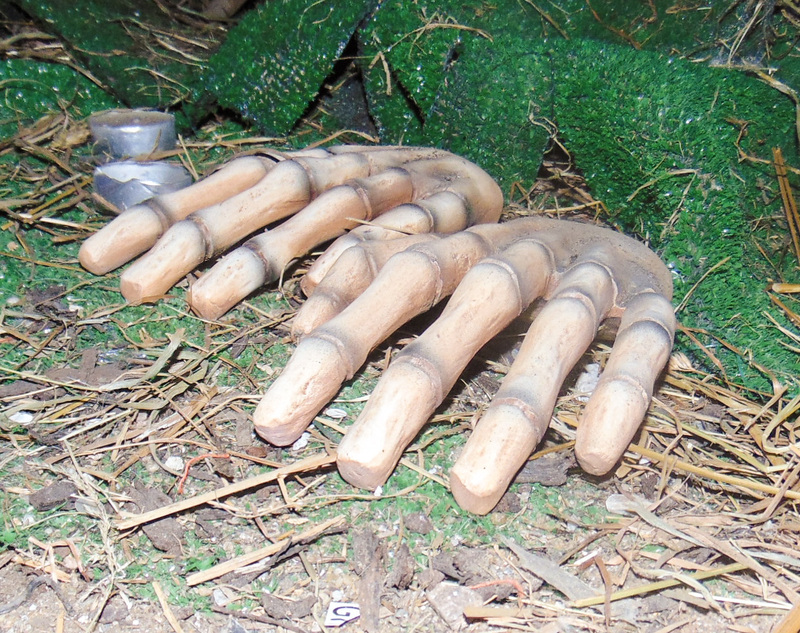 These Skeleton wife hands are great to give a menacing atmosphere to a horror themed area. 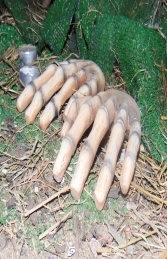 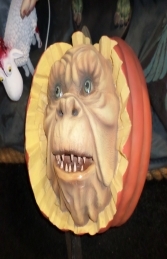 They can appear gripping on to things, crawling out of graves.